If you let it, Westin will turn your factory truck into a workhorse with bull bars, rocker guards, step bars, winches, light guards, bumpers and more. Westin has been in this business for four decades, so they know a thing or two about trucks and the accessories people want. Westin Bed Mats are designed to protect the truck bed surface and cargo being transported from damage. They are application specific based on the year, made, and model to insure a direct fit. They are constructed utilizing heavy duty ¼ inch thick rubber that prevents cargo from shifting during transport due to its non-slip surface. They are backed by a three year warranty. 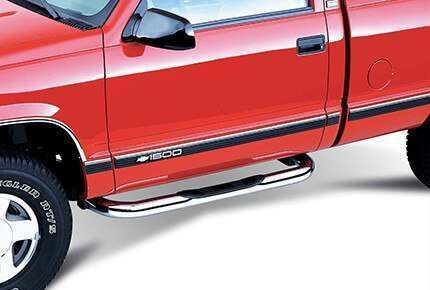 Westin Contour Bull Bars incorporate 3.5” steel tubing that increases the strength level and establishes a very bold representation. A vehicle specific mount kit is included to facilitate the easy no drill installation process. The bar assembly in also pre-drilled providing mounting holes for up to four lights or a 30” light bar that must be purchased separately. They are available in three finish options including smooth black, textured black, or stainless steel that allows you to coordinate with existing exterior accents. 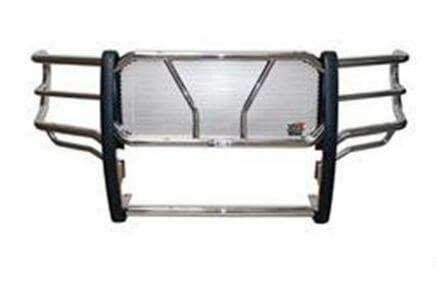 Westin E-Series Bull Bars incorporates a strong stainless steel construction that will withstand adverse weather conditions. They are application specific based on the year, make, and model of the truck or SUV. This facilitates the easy no drill installation process and insures a direct fit. They are extremely durable and incorporate a removable skid plate. They are backed by a limited lifetime warranty. 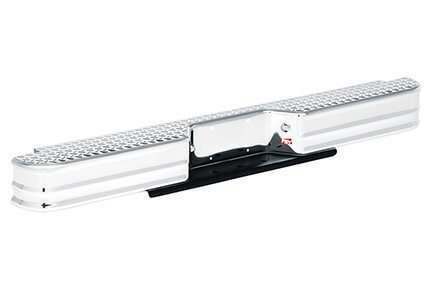 Westin Max Winch Tray Bull Bar/Light Bars are an accessory item that is designed to facilitate other accessory items. They establish a mounting surface for a winch and additional off-road lighting that is sold separately. They incorporate a very durable weather resistant construction that also provides grill protection. They can accommodate a heavy duty winch system and several lights. They are backed by a three year warranty. 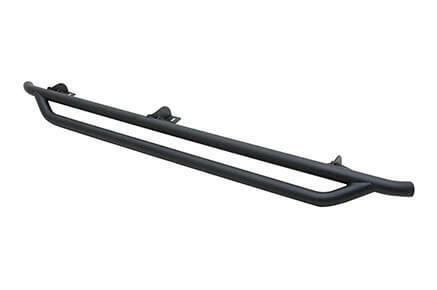 For a tough bull bar and better pit manoeuvring, this bull bar is a worthy addition to your vehicle. You are going to love how it's going to change your vehicle and at the same time, give you more protection on the road. You will not regret buying this and you will love every detail of it. Guaranteed to last you for a long time, this bull bar doesn't just bring in strength but also provides you with more safety and protection. 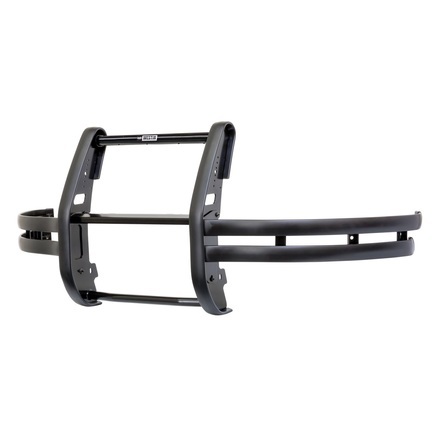 It keeps your grille and your overall front end safe against harmful road debris. It can also withstand all types of weather conditions. 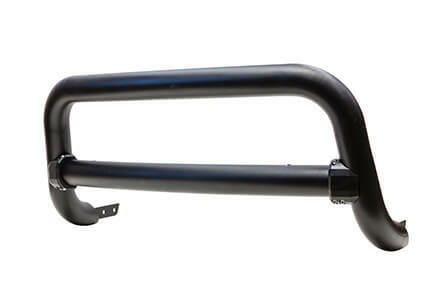 This is the kind of bull bar that you will highly benefit from. The style of this bull bar will catch your eye right away but you will love it even more once you dive deeper into its features. Its features are not meant just to give you style but also to give you protection and more safety that you will surely appreciate. 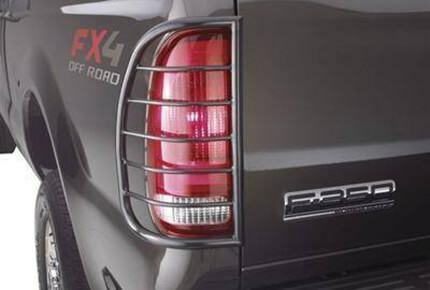 What do you say to a bolder look for your truck plus more protection? Of course you won'y say no! And that's exactly what you're going to get with this bull bar. 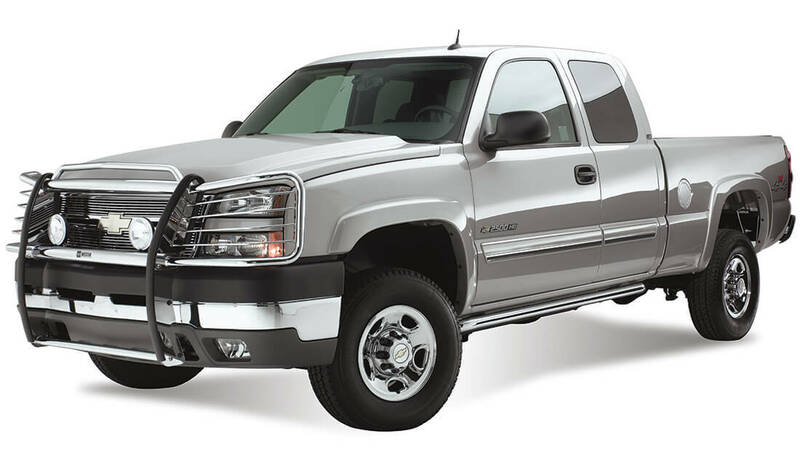 Constructed from tough material and finished in stylish finish, this bull bar takes your truck to the next level. Who doesn't want a stronger bumper guard? 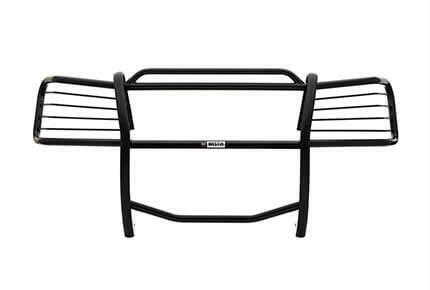 This bull bar will give you the protection and safety that you need. In fact, it's one of the best things that you can get for your vehicle. Its solid construction also guarantees long-lasting usage making every penny that you spend on it worth it. Westin Ultimate Bull Bars are assembled with a strong steel construction that will withstand the elements and is corrosion resistant. They are application specific based on the year, make, and model of the truck or SUV. This facilitates the easy no drill installation process and insures a direct fit. They incorporate mount holes that can facilitate additional off-road lighting that is sold separately. They are backed by a limited lifetime warranty. 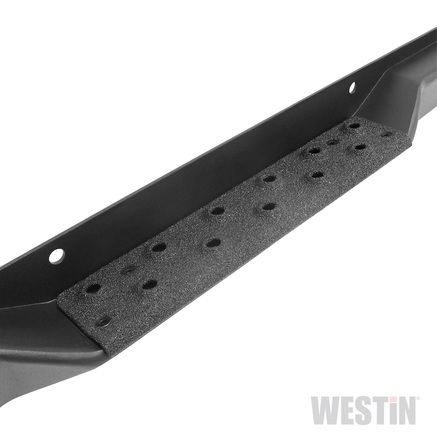 Westin Fey Diamondstep Bumpers are constructed utilizing high quality steel to increase the durability level. 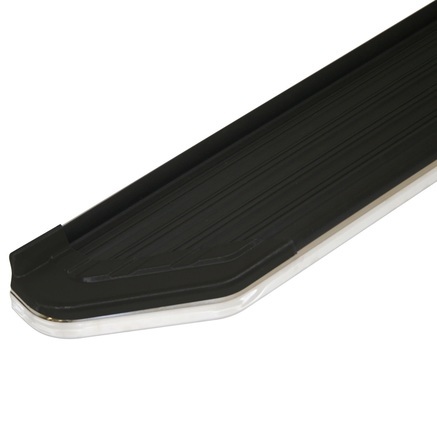 The diamond plate step creates a slip-resistant surface and a stylish appearance. The bumpers are vehicle specific to facilitate the drill free installation process that requires a mounting kit that is purchased separately. The bumper also incorporates an extra heavy duty trailer hitch mounting plate to increase the towing capacity. They come with a limited lifetime warranty. Westin Fey Perfect Match Series Bumpers are designed as vehicle specific replacements that mirror the original factory bumper. They come completely assembled and ready to bolt on to the original mounting brackets. Durable slip-resistant pads are incorporated to insure proper footing. They are available with a black powder coat or a chrome finish. 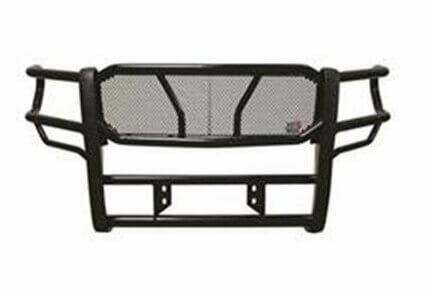 Every bumper is quality tested to insure its reliability level. They are backed by a limited lifetime warranty. 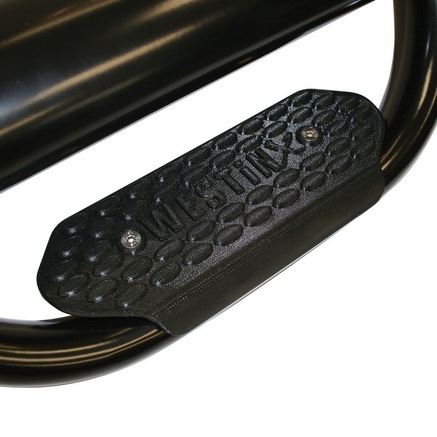 Westin Fey Surestep Bumpers are assembled utilizing high grade tempered steel plating to withstand the elements. They incorporate a strong polymer pad that is durable and slip-resistant. They are vehicle specific, easy to install, and safety tested. A built-in trailer hitch mount plate is incorporated to accommodate a hitch ball. They are available with a silver, black, or chrome plated finish. They are backed by a limited lifetime warranty. 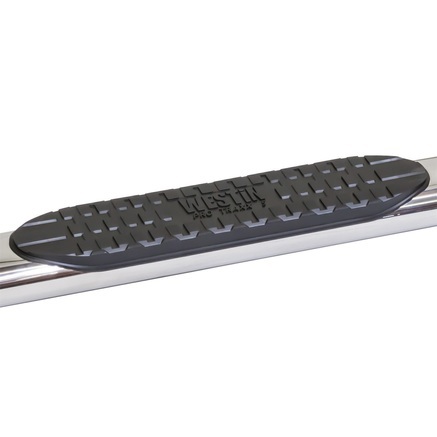 Westin Fey Surestep XLT Bumpers are constructed utilizing high grade durable steel plating to withstand the elements. They incorporate a thick polymer pad that is durable and slip-resistant. They are application specific and require a mounting kit that is sold separately. A very sturdy trailer hitch mount plate is incorporated to increase the towing capabilities. They are available with a black or chrome finish. They are backed by a limited lifetime warranty. 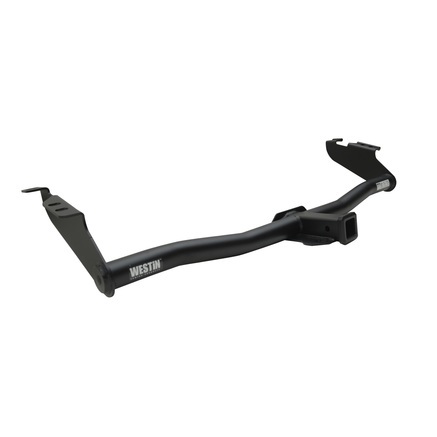 Westin TrailBlazer Series Rear Bumpers are constructed utilizing high quality steel tubing. They are vehicle specific to accommodate the easy no drill installation process and specifically designed for Jeeps. 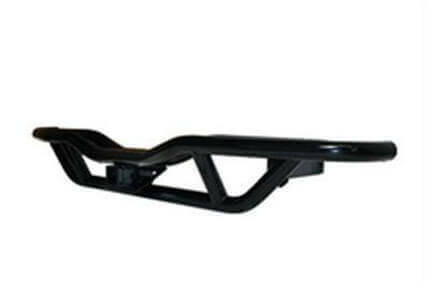 They are more durable that stock Jeep bumpers and also incorporate a trailer hitch receptacle. They have a durable black powder coat weather resistant finish. They are backed by a three year warranty. 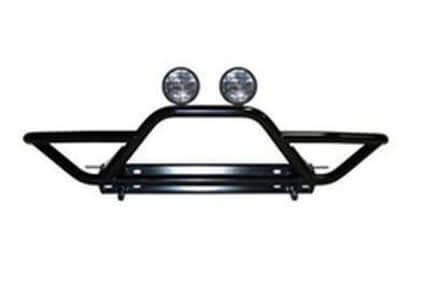 The Westin TrailBlazer Series Winch Mount Front Bumper is constructed utilizing high quality steel tubing. 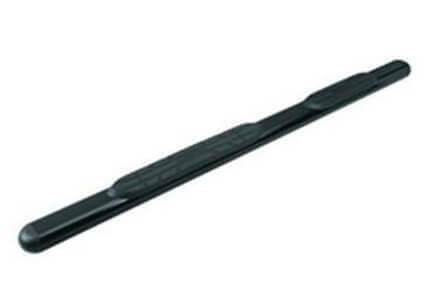 They are vehicle specific to accommodate the easy no drill installation process and specifically designed for Jeeps. They include built-in mounting plates to facilitate a winch and fog light installation that must be purchased separately. The durable construction protects the Jeep and will facilitate a very high rated large pulling capacity winch. 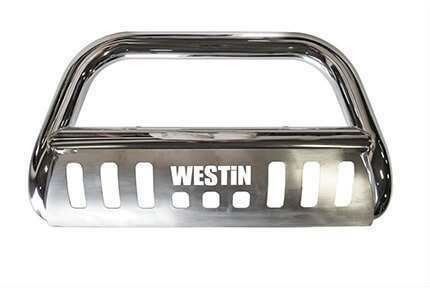 Westin HDX Heavy-Duty Grille Guards are constructed utilizing 2” steel tubing to enhance the durability level. 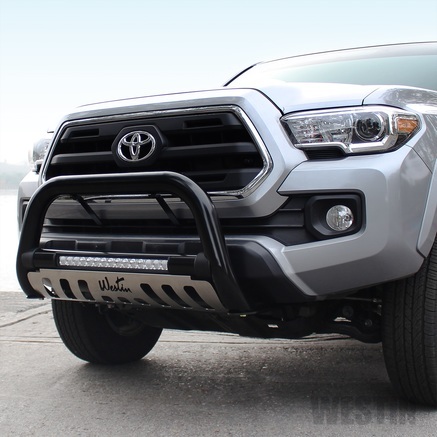 They provide complete front end protection preventing damage to the bumper, hood, grille and fenders during off-road excursions. The punch plate and wrap-around design provides superior protection. You can obtain the appearance you prefer due to the fact that they are available with a stainless steel or black finish. They are application specific that facilitates the no drill installation process and ensures an precise fit. 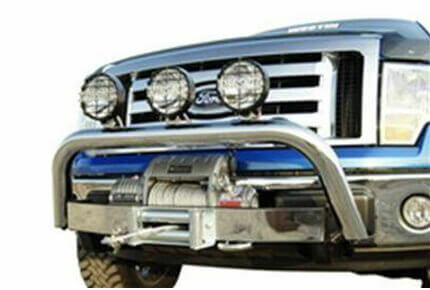 Westin HDX Heavy-Duty Winch Mount Grille Guards are assembled utilizing high quality durable steel tubing. They are vehicle specific to accommodate the easy no drill installation process. It includes a built-in mounting area to facilitate a winch that must be purchased separately. 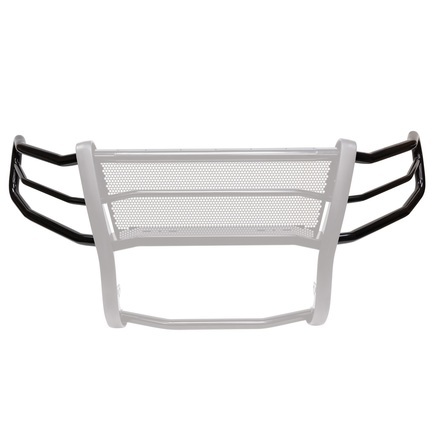 The durable construction incorporates a metal mess screen to provide complete front end protection. They are powder coated with a durable black finish that is corrosion resistant. 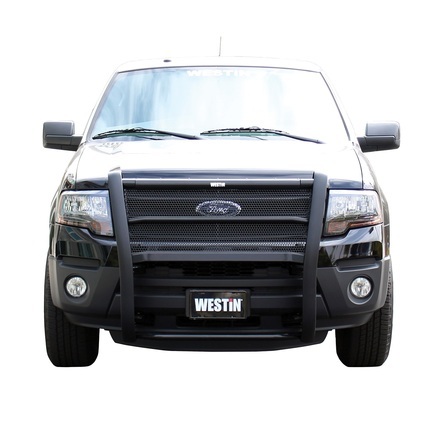 Westin Sportsman Grille Guards incorporate a unique one piece design that increases the durability level and facilitates an easy installation. They are vehicle specific and most applications incorporate a hood guard based on the year, make, and model. They are available with a black powder coat or stainless steel finish. The black powder coat finish is backed by a five year warranty and the stainless steel finish is backed by a limited lifetime warranty. 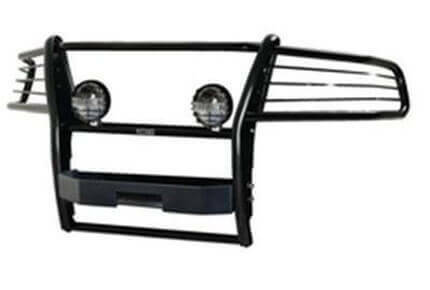 A Westin Sportsman Winch Mount Grille Guard is constructed utilizing high quality steel tubing. They are vehicle specific to accommodate the easy no drill installation process. It includes built-in mounting areas to facilitate a winch and fog lights that must be purchased separately. The durable construction protects the truck and will accommodate a winch that incorporates a very high pulling capacity. They are available with a stainless steel or black finish. Westin Automotive Headlight Covers are vehicle specific and designed to fit a vehicle based on the year, make and model. They are designed to protect the entire headlight lens surface and constructed using a high impact acrylic material. They provide protection from the elements that can damage the headlight assemblies. The covers are available in a clear or smoke design and create a unique customized appearance. They come with a limited lifetime warranty. Westin Light Covers are manufactured utilizing high impact quality materials to protect the light lens from the elements. They are available in a wide variety of sizes and designs to accommodate several different application requirements. They come with a grate or solid design and with rectangular and round options available. Installation is quick and easy with a 3M tape application. Most options will display the Westin brand and they are covered by a limited lifetime warranty. Westin Sportsman Taillight Guards are designed to prevent the taillight lenses from being damaged without hindering their operation. They are constructed utilizing durable weather resistant materials to withstand the elements. They are vehicle specific to facilitate easy installation and insure a direct fit. They are available with a black powder coat or a chrome finish. All of the required mounting hardware is included and no drilling is required. 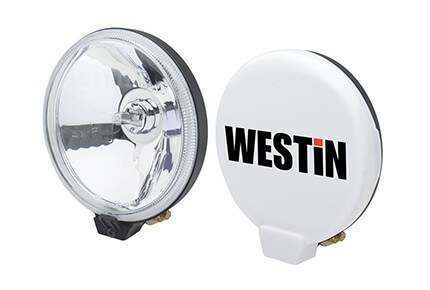 Westin Driving Lights are constructed utilizing durable materials to withstand the elements and deter damage. They are available in various designs and shapes to accommodate several applications and mounting requirements. Round and rectangular options are available with above and below bumper mounting configurations. Roll bar and light bar options are also available. The lights that incorporate plastic housings are made utilizing high impact materials to increase the durability level. 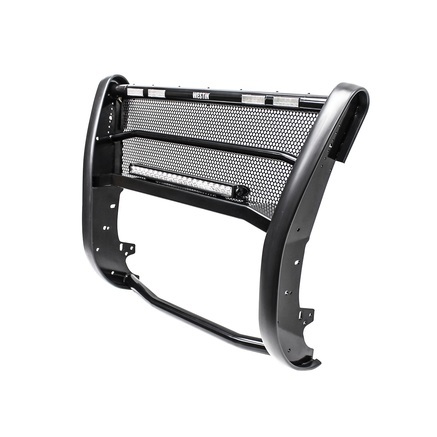 Westin Trailblazer Series Rocker Guards present a rugged off-road appearance to your Jeep Wrangler that enhances the overall representation. The unique trailblazer design is intended to be used in conjunction with trailblazer front and rear bumpers that can be purchased separately. The durable steel construction protects the side panels from damage that can occur during off-road adventures. The application specific mount kit includes all of the required hardware that is needed; but some applications may require drilling based on the year, make, and model. A wider stepping area and a functional one is what these drop steps are meant for. 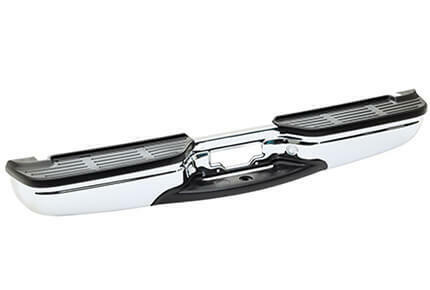 Enhance the aesthetic appeal of your vehicle while you gain better access as well with this running board. Change the look of your truck and at the same time, gain more safety and access with the help of these boards. With these boards, every step becomes even more trustworthy. 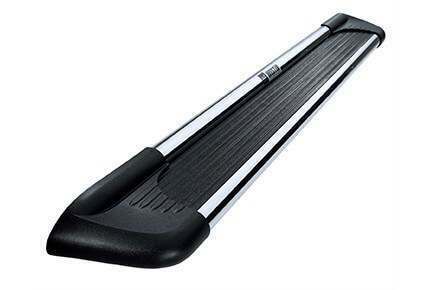 For versatility at its best, this is the perfect step board for you. There are different lengths and styles to choose from, which means you will definitely find the perfect one for your vehicle. It’s not called “Stylized” for nothing. 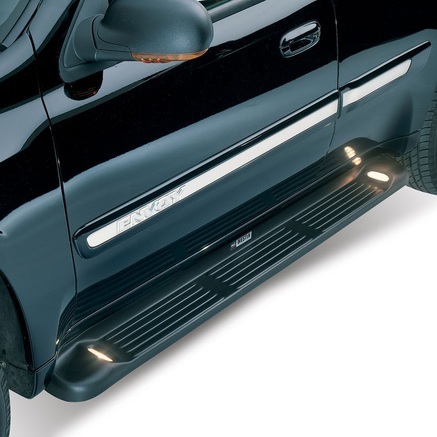 These running boards will give you not only functionality but also a boost in style. 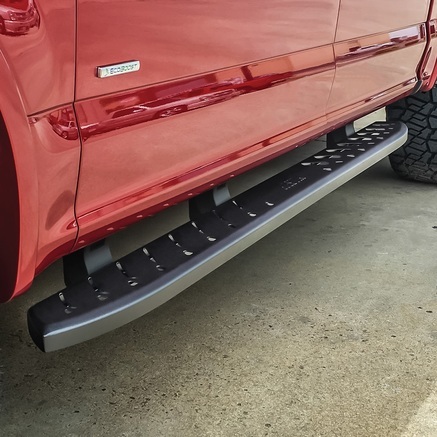 Westin Sure-Grip Running Boards are constructed utilizing very durable materials to withstand the elements and increase their strength level. Heavy rubber slip-resistant pads are incorporated to establish good footing when entering or exiting the truck or SUV. 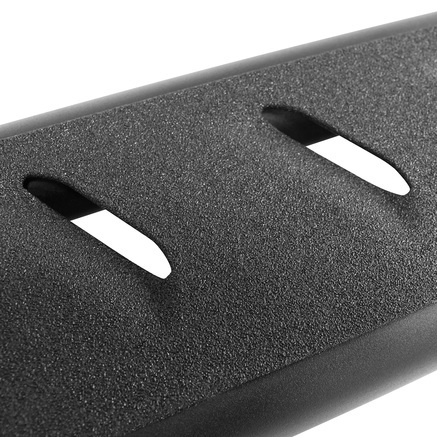 Stylish end caps seal the running board from the elements and enhance the overall representation. They are available with black brushed or chrome trim to match other exterior accents. They have a limited 5 year warranty. These boards guarantee easier access and in turn will give you convenience. 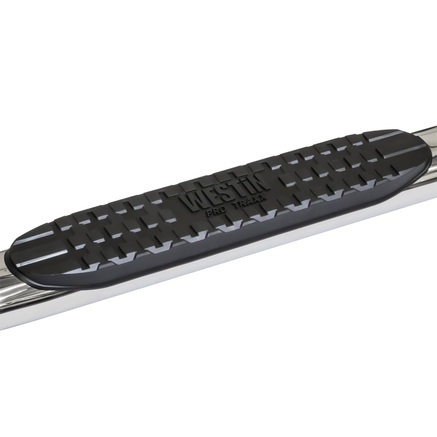 Westin E-Series Step Bars are constructed utilizing high quality three inch round steel tubing that is very durable and withstands the elements. The step pads are constructed with durable textured material to insure proper footing. 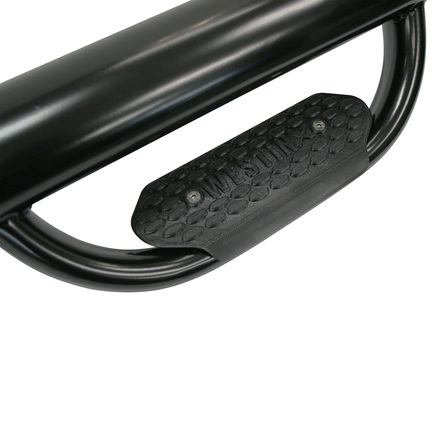 The step bars are vehicle specific and the mounting hardware is included to facilitate the installation process. They are available in a stainless steel finish that comes with a lifetime warranty. They are also available in powder black with a three year warranty. Whether for off-road or not, you can easily step in and out of your vehicle with this. You get too have convenience and style with just a step. 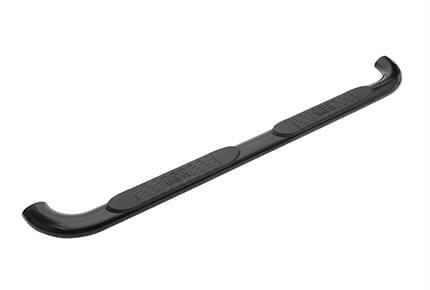 Getting in and out of your vehicle becomes easier with this nerf bar. Crafted from heavy-duty materials, this promises a solid construction that will last. It is available in 2 finishes so you can choose which one will go best with your vehicle. Either way, this will add more style and it’s very easy to install as well. Westin Oval Tube Step Bars are constructed utilizing durable steel oval shaped tubing to withstand the elements. They are available in a 4 inch or 6 inch design with a black or stainless steel finish. 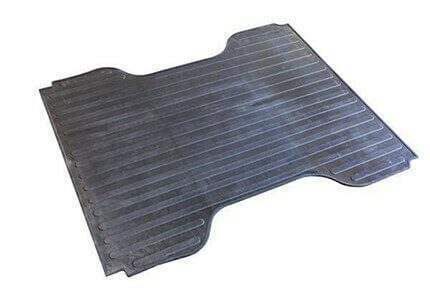 Durable step pads are incorporated to provide a non-slip surface for entering and exiting the truck or SUV. Black end caps seal the tube to protect the inside from the elements. They are easily installed with the mounting kit that must be purchased separately. 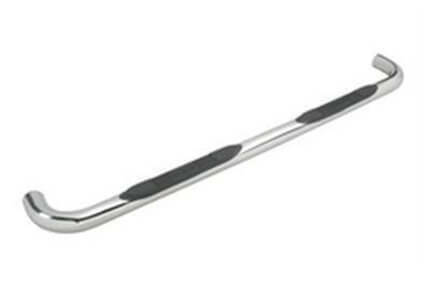 Westin Platinum Series Step Bars are constructed utilizing high quality three inch round steel tubing that is very durable and withstands the elements. The step pads are constructed with durable material that is UV rated to resist fading. 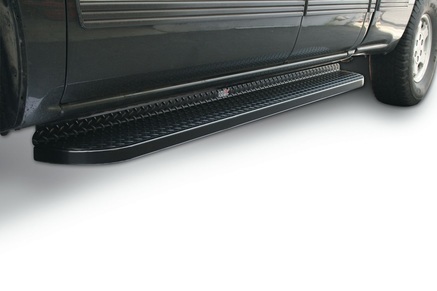 They are also textured to insure proper footing when entering or exiting the truck or SUV. 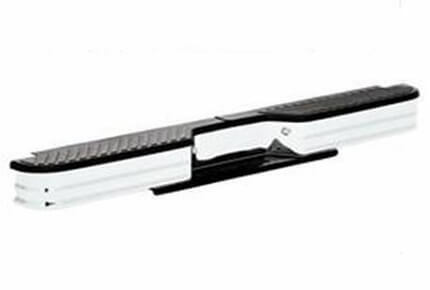 The step bars are vehicle specific and the mounting hardware is included to facilitate the easy no drill installation process. 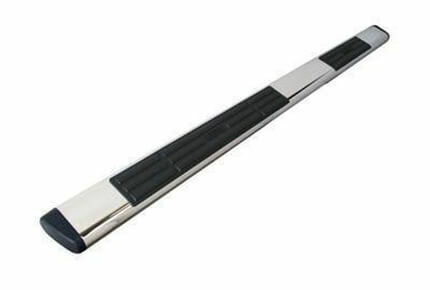 Westin Platinum Series Oval Step Bars are commercial grade 4 inch oval step surfaces that span from wheel to wheel. They are vehicle specific and incorporate a third step on truck applications to facilitate bed access. They feature a unique isolator bracket that supports the step bar past the cab on long bed applications. The installation is quick and easy with no drilling required and all of the installation hardware is included. 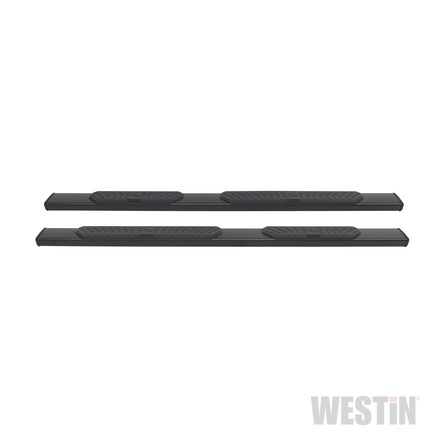 Westin Platinum Series Wheel-to-Wheel Step Bars are assembled with commercial grade 4 inch oval step surface that spans from wheel to wheel. They are vehicle specific and incorporate a third step on truck applications to facilitate bed access. They are available with a black powder coat or chrome finish. The installation process is quick and easy with no drilling required and all of the installation hardware is included. 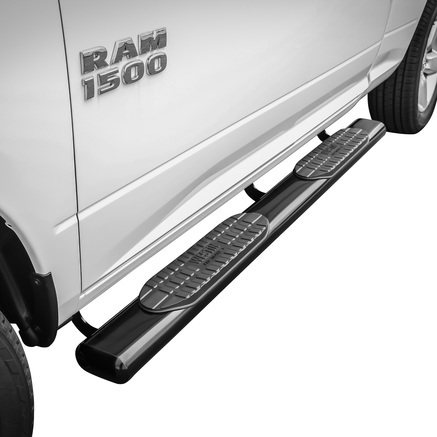 Westin Premier Series Step Bars are designed to facilitate the access capabilities of a truck or SUV especially if it has been lifted or incorporates a high stance. Non-slip step pads are incorporated to insure appropriate footing is established. They are constructed utilizing durable steel materials that will withstand the elements. They are very functional; but also provide a unique customized appearance. This product comes with a limited lifetime warranty and the mounting kits are sold separately. With this, you get better access to your ride and at the same time, keep safe while stepping in and out of your vehicle. A little bit wider, better access plus more convenience are just some of the things that comes with this nerf bar. Considered the largest when it comes to tube circumference and when it comes too ProTraxx, this is perfect for those who wants more stepping space. 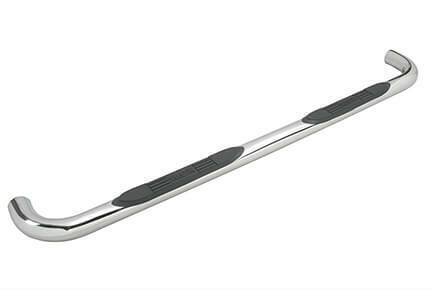 Looking for that perfect wheel-to-wheel step bar for your vehicle? You've found the perfect pair here! 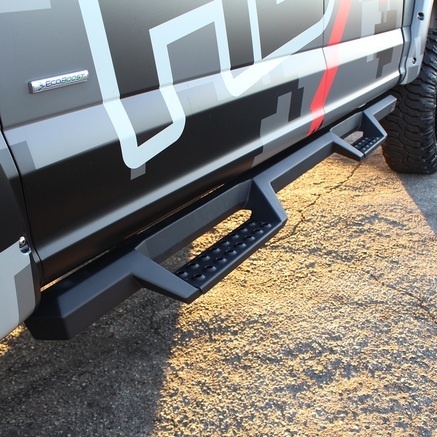 These nerf bars don't just come with an impressive width but it also features a solid construction plus it gives your vehicle a boost in style, too! They are really the perfect addition that will make your life so much easier. These not only to give you better access to your vehicle, but they look great as well! Westin Signature Series Step Bars are constructed utilizing high quality three inch galvanized steel tubing that is very durable to withstand the elements. The step pads are recessed and constructed utilizing durable material that is UV rated to resist fading. They are also grooved to insure proper footing when entering or exiting the truck or SUV. 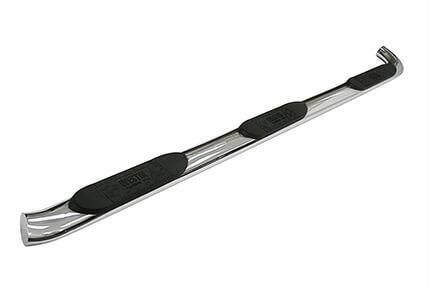 The step bars are application specific and the mounting hardware is included to facilitate the easy no drill installation process. 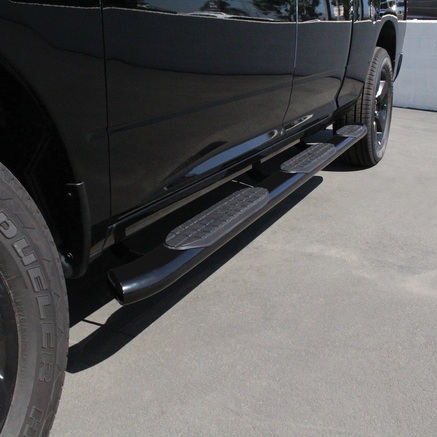 For the best rocker panels protection, these are the perfect solution! 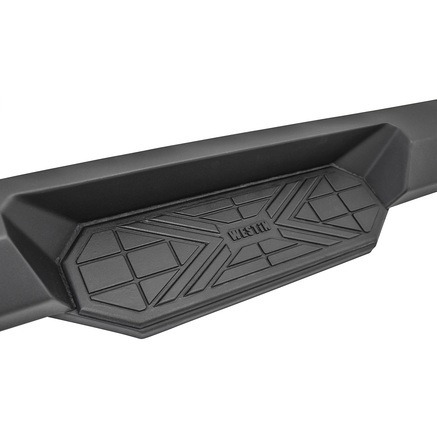 Going off-road becomes so much easier now knowing that your rocker panels will stay protected with this. 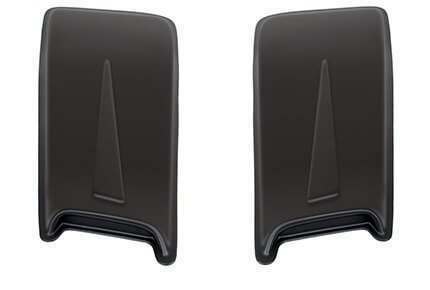 Westin Air Intake Cowl Scoops are designed to be a universal option to give a car, truck or SUV a unique customized appearance. 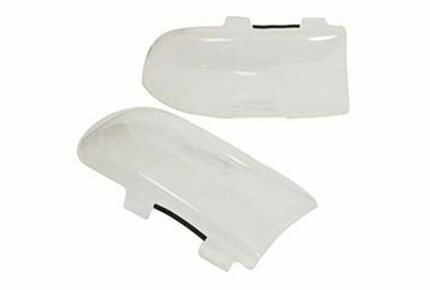 They are constructed using a high impact ABS plastic that is paintable to match the exterior of the vehicle. They are easy installed in minutes with a 3M tape application. Single and dual scoop options are available to meet different application requirements. 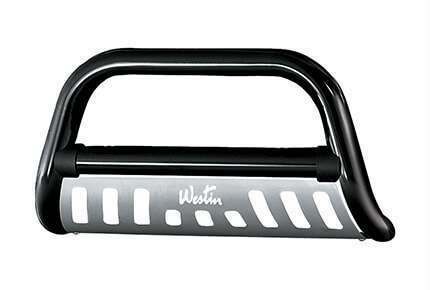 Make towing simpler, easier, and safer with this Westin trailer hitch. Built for maximum durability and coated with a strong layer of protection, you will be able to maximize your towing using this hitch. It comes with all the necessary hardware and you will have an easy time installing this all on your own. Westin has been developing innovative automotive accessories for four decades and are best known for their truck accessory line-up. They are consistently updating their products to meet customer needs in the ever-changing automotive world. They specialize in vehicle specific items with very high customer satisfaction ratings. PartCatalog.com is a proud retailer for Westin Automotive. 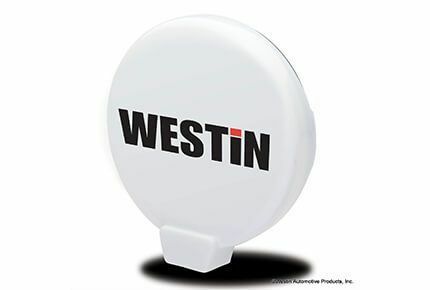 For more information on Westin Automotive, please visit the Westin Automotive official website.